Rumours are rife that the government plans to abolish letting agents’ fees charged to tenants as part of a series of measures to be announced as part of today’s Autumn Statement, leaving agents with little alternative but to charge fees to landlords instead, if they wish to maintain existing profit margins. Baroness Olly Grender, Liberal Democrat peer and a former senior figure at Shelter, is among those that have long pressed the government to ban letting agency fees and clampdown on rogue landlords. Baroness Grender introduced the Renters’ Rights Bill to protect the growing number of private renters who currently face what was recently described as ‘face huge costs’ every time they move. 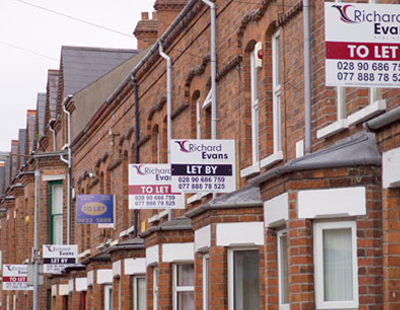 The Renters Rights Bill, which seeks to amend the Landlord and Tenant Act 1985 by stopping letting agents from charging tenants or prospective tenants - things like registration fees, administration fees and inventory check fees, among other charges - had an unopposed second reading in the House of Lords earlier this month. One senior letting agent told Landlord Today last night that it was conceivable that the government, “with no credible opposition in place”, seems intent on “screwing landlords, investors and agents over” and can “basically get away with it”. While we do not wish to get involved in politics, it would seem that being perceived to hit 'greedy' agents and 'rogue' landlords where it hurts is a vote winner with the majority of the electorate. The question now is whether letting agents will seek to pass costs onto landlords, which coupled with various tax changes, would make even harder for buy-to-let investors to make a profit.